This misleading study has many flaws and serious confounders and should not give anyone reassurance that mobile phone use is not associated with an increase in brain tumours. In our opinion the paper should not have been published in this form — it should have failed peer-review. We recommend that it is disregarded as low quality science. Denis Henshaw, Emeritus Professor of Human Radiation Effects at the University of Bristol agrees with this view: "This seriously flawed study misleads the public and decision makers about the safety of mobile phone use. I consider that their claims are worthless." "There is no link between long-term use of mobile phones and tumours of the brain or central nervous system, finds new research published on bmj.com today. In what is described as the largest study on the subject to date, Danish researchers found no evidence that the risk of brain tumours was raised among 358,403 mobile phone subscribers over an 18-year period." What do we see as the main problems? The researchers have no data at all on mobile phone use since 1995. The extra 88% of the population who started to use a mobile phone after 1995 are placed in the "non user" part of the population. They also assumed that anyone having at least a one-year a mobile phone contract in the period 1987 to 1995 will have continued to have one up to 2007. That will seriously damage and distort any data analysis. It did not analyse corporate subscribers (the heaviest users in the 1987-1995 period). In total this placed 36% of total users from that period in the "non-users" group of the general population. They did not control for cordless phone use. This is despite the first author (Frei) having published a paper showing that a third of a person's microwave exposure can come from cordless phone use (with another third from mobile phone use and the other third from base stations and other UHF transmitters). Professor Lennart Hardell has repeatedly shown increases in brain tumours associated with extensive cordless phone use - any such cases would occur in the "non-users" group and reduce any effect in the cohort group. "A limitation of the study is potential misclassification of exposure. Subscription holders who are not using their phone will erroneously be classified as exposed and people without a subscription but still using a mobile phone will erroneously be classified as unexposed. Because we excluded corporate subscriptions, mobile phone users who do not have a subscription in their own name will have been misclassified as unexposed. Also, as data on mobile phone subscriptions were available only until 1995, individuals with a subscription in 1996 or later were classified as non-users." Pre-1995 almost all these subscribers used analogue mobile phones which operate quite differently to GSM and 3G handsets used since 1995. Analogue mobile phones were slightly higher powered but did not pulse in the way GSM phones do. This study only looks at 7% of the Danish population who had a personal mobile phone subscription for at least one year during the period 1987 to 1995. They had few women subscribers in their cohort - that is unfortunate as the cohort does not reflect the general populataion mobile phopne use. In this analysis they have 6% of the Danish population as male mobile phone users and only 1% as female mobile phone users. They lost 37,093 people from the user cohort because their either died or emigrated. This represents a loss of almost 10% of the current cohort of 358,403 people. Frei P, et al. 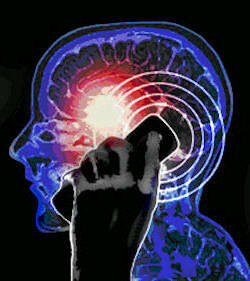 Use of mobile phones and risk of brain tumours: update of Danish cohort study. Ahlbom and Feychting BMJ Editorial. Schuz J, et al. Cellular telephone use and cancer risk: update of a nationwide Danish cohort.